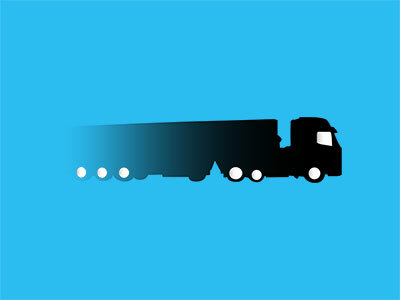 Calls for the State to address the lack of HGV drivers have increased. The dip in the number of qualified drivers since the beginning of 2017 is causing alarm among industry bodies. In fact, the severity of the shortfall has brought the continued well-being of the sector into question. Support and advice in recruiting drivers in the current low-unemployment economy. Clarity in the definition of employment conditions to ensure employers’ obligations and employees’ rights can be met. A range of apprenticeships suited to the needs of the logistics sector that are eligible for funding under the new Apprenticeship Levy arrangements. The FTA claims the report, titled the Taylor Review of Modern Working Practices, highlights several areas especially relevant to logistics. For example, as the country moves further toward the controversial ‘gig economy’, drivers could become increasingly likely to work as self-employed or as owner-operators. Combined with the surge in zero-hour contracts, this may hobble drivers looking for a steady stream of income. The report recommends, as a result, the creation of a new type of worker: the ‘designated contractor’. Designated contractors will enjoy heightened flexibility; being able to negotiate more wiggle-room in their employment terms. While this will appeal to a broad section of the workforce, the FTA stresses that, due to the strict requirements of Operating licenses, a large amount of control over drivers will need to be retained. But what’s behind the shortfall? 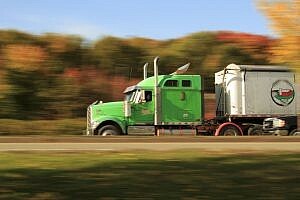 45% drop in number gaining HGV license in a 5-year period. *This figure did not take into account those that would leave the profession due to license revocation or curtailment, or for career progression. With the number of new bodies entering the industry insufficient to replace those leaving, the State took a radical measure. To help bridge the deficit, it lowered the HGV driver testing age from 21 to 18. This meant that young people could pursue a career behind the V8 immediately upon leaving school. While initially this may have helped to stem the tide, the government’s since taken additional steps. To fill the demand for HGV drivers (among other professionals), the State’s introduced two major schemes. To aid the the labour force generally, the Apprenticeship Levy was brought in six months ago. The Levy is a charge on a category of employers. Through enacting this duty, the state accrues funding for the development of young people entering the workforce. Specific to road haulage, the Trailblazer scheme has been in play for a full year. However, disagreement over the government’s decision to treat road haulage as one mega-sector, as opposed to separating it into several unique sectors, appears to have stalled its progress. The FTA has released a full report of the state of employment in UK road transport & logistics.